A package of bills necessary for cooperation with the International Monetary Fund (IMF) is being formed in the course of negotiations with the fund mission, which is now working in Ukraine, Chairman of the Bloc of Petro Poroshenko faction Ihor Hryniv has stated. "Some issues lose their relevance, however, some gain. This is a negotiation process the government is conducting. When the talks end, we will finally know what laws of the so-called IMF package are submitted to the parliament," Hryniv told reporters. The MP noted during consultations with IMF mission representatives Ukraine could refuse some conditions set by the fund. "The agenda relevant prior to the arrival of the mission is being changed during negotiations here in Ukraine," he said. 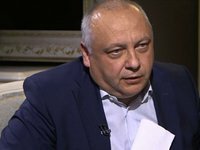 Hryniv stressed due to the change of government many bills of the IMF package are submitted to the parliament for the second time. "According to the procedure, the bills filed by the previous government, must be repeatedly submitted by the new Cabinet. Therefore these laws are not new in content, although some of them were revised," the deputy said.